Fits where two Hornby R600 straights join or half way along a Hornby R601 Double Straight. For electrical operation use an R8243 surface mounted point motor or an R8014 point motor which is required to be fitted beneath the base board. Length 168mm. Detailed scale model designed for adult collectors and is not intended for play. This product is not suitable for children under 36 months as it may have sharp edges and small parts. Fitted with stainless steel fishplates. Part Number: R8241. We will always help you to have a 100% positive happy buying experience. Add to favourites. 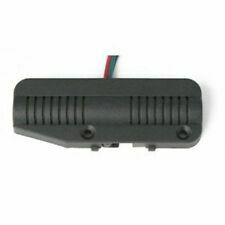 Hornby R8244 Remote Uncoupler Unit. 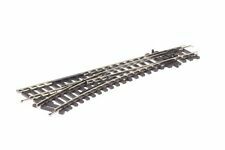 straights join or half way along a Hornby R601 Double Straight. For electrical operation use an R8243 Point motor or an R8014 Point motor which is required to be fitted beneath the base board. oo gauge hornby digital controler. Condition is Used. as new only used twice as up graded . DCC CONCEPTS Pre-Etched Sleepers 1.6mm (4mm scale) Straight Track ESP-TRACK1.6 DCC Concepts Legacy track parts have been created to make the creation of truly realistic 4mm track-work quick and easy. Pre-cut, Pre-etched sleepers. Pre-etched to leave copper only where it is needed there is little need to make visable cuts. Tinned copper pads make soldiering easy. Red Buffer Light for DC & DCC railways. DC or DCC Compatible. Buffer Stop Not Included Designed and manufactured in Great Britain. To be used at station platform end or free standing. This is because you will most probably be using different power sources for these types of switches, and the underside connections on the switches differ from those of the PL-26. The Pecolectrics system - everything you need. The DCC80 Autofrog is a simple switch that automatically changes the frog polarity on your DCC layout. Allow us to introduce you to the Autofrog. Wiring the DCC80 is simple. There are three solder connections on the board, 2 connections labelled “R” - which you should connect to your rails or your bus and 1 connection labelled “F” which you connect to the frog input wire. If the SmartSwitch system is used to operate PECO Electrofrog turnouts, the polarity of the frogs can be changed automatically, electronically and 100% reliably, when the servo moves the blades across, by adding a SmartFrog to each turnout. Heljan 89121 DCC Ready Turntable, works out to 80' in 00 Gauge. Used model railways & collections always wanted. Width of turntable circle 324mm. Weathered One-Piece Plastic Pit. Exercise of the right to withdraw or cancel. Bachmann Branchline. 36-872 Left Hand Standard Point 00 / HO Scale. One-Touch DCC™ setting up - NO programming of CV codes etc! --eg Two 2 aspect signals or a 2 aspect plus feather or a 3/4 aspect signal. DCC Decoder fitted. Key features of this Left Switch are All the tiny wires underneath have been secured with hot glue which makes this Left Switch perfect for your "Carpet Central" Layout. Bachmann 36-872 Left Hand Point DCC Conductive connections already fitted (Not suitable for DC use as all exits are live). Used model railways & collections always wanted. How it started; I have been interested in model trains since I was a child. Fits where two Hornby R600 straights join or half way along a Hornby R601 Double Straight. Angle: 22 ½º. Length; 167mm (6 9/16in). Equivalent to Hornby R8072. OO gauge Code 100. Expo 73545 No.234 Razor Saw Blade (fits X-acto). You might also like. Train-Tech BL1 OO/HO Gauge Red Buffer Syop Light. DC or DCC Compatible. Used model railways & collections always wanted. How it started; I have been interested in model trains since I was a child. It was more fun and much cheaper, now I can fix most locos so they run like new. Unique One-Touch DCC™ setting up -NO programming of CV codes etc! Fully assembled signal with head, aluminium mast and electronics fitted inside base. (Point not included). Used model railways & collections always wanted. It has a selection of choices relating to your country of origin & a quantity option. How it started; I have been interested in model trains since I was a child. 4mm scale UK prototype sleepering, pre-etched. Used model railways & collections always wanted. Isle of Wight How it started; I have been interested in model trains since I was a child. It was more fun and much cheaper, now I can fix most locos so they run like new. Reset Value: CV8 to 8. Width: 12mm. Number of Pins: 8. Number of Functions: 4. Code 75 Finescale is for those enthusiasts who wish to operate trains on scale height rail. Nominal radius 610mm, angle 12 degrees, length 249mm. Length & angles match the SL-E194 Long Crossing. Manufactured by Dapol. OO Gauge Accessories. Scale 1:76/OO. Get In Touch. Get Social. Important Information. WORKING ORDER: Yes.